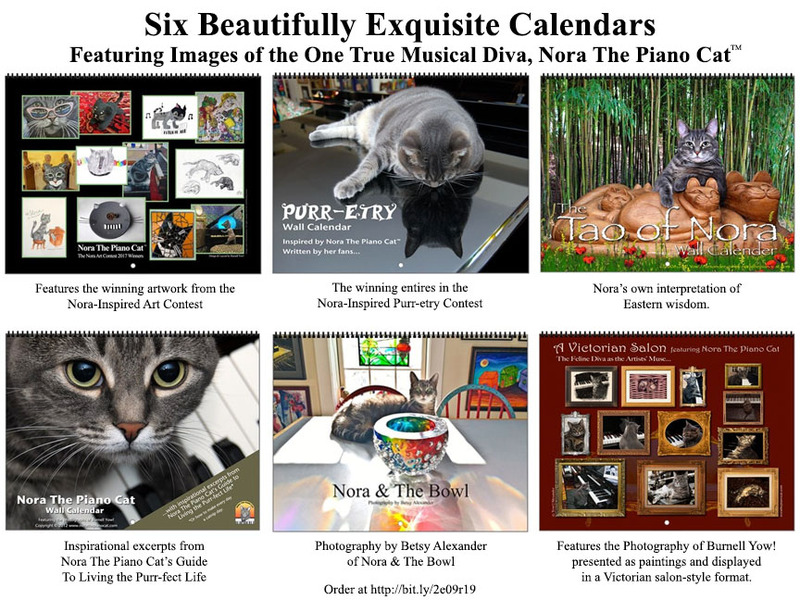 A New Year is a great time for a Nora calendar. And these calendars are extra special because you can order one at any time of year. They are printed on demand and you can specify which month you’d like to start on. Order one for yourself, or give as gifts. Check them out by clicking here. Now’s the time to order your calendar for 2017, and I’ve got six to choose from – all about me. Who else, right? Anyway, they’re all beautiful and five of them feature wonderful photos of me shot by my purrsonal assistants, Burnell and Betsy. And one of them features twelve amazing artworks by my fans. That’s the Nora-Inspired Art Calendar. 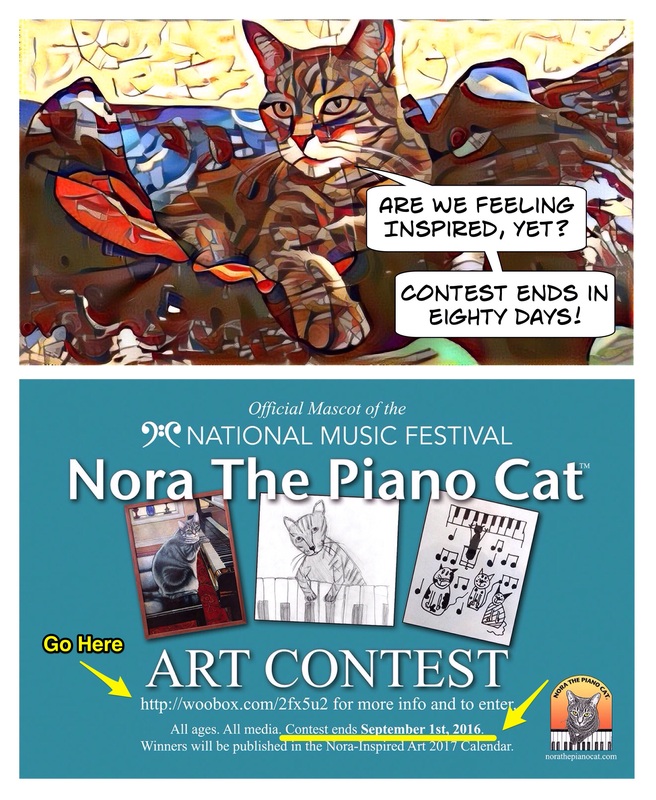 The twelve were the winners in this years Nora-Inspired Art Contest. All ages and all media were allowed. Some really beautiful art, if I do say so myself. And, of course, I do. How could they not be when you start a cat like…well, you get the point. Cool thing is, you can order your calendar to start on any month. So, if you don’t want to wait till January, 2017, you can order it to start in November or December of this year. How cool is that? Adoption saves lives, which is why I am so delighted to help celebrate the 20th anniversary of ‪Petfinder.com‬ and their marvelous work of bringing together human beings and those of us with slightly more fur. And you can celebrate with us by sharing your own adoption story with the #MetOnPetfinder hashtag, and by watching the video at http://bit.ly/2coWBaa. The great news is that Petfinder is donating $250,000 to the Petfinder Foundation to support 25 shelters and rescues after reaching its goal of 1.25 million video views. It’s a cute video, so you should keep watching and sharing. I am so excited about my new video campaign ad. I hope you like it and will share it with friends and family. And be sure to check out my previous post for how to get your very own “Nora For President” bumper sticker or button. 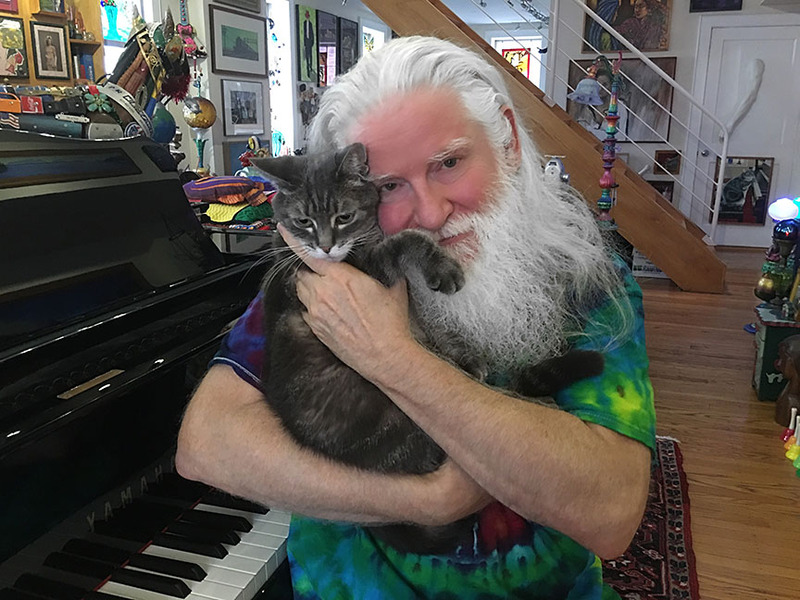 Time to let the world know I have your support as I move toward the Oval Office, grand piano in tow. You can get your very own “Nora For President” tee by clicking the link below. Other styles and colors available. Buttons and stickers, too. What’s A Campaign Without A Button? I have one myself, and I have to say it was very cool the first time B & B were away and they used the app on the iPhone to turn on and connect to the Petcube. First I heard their voices calling my name, then I saw the laser dot moving on the oriental rug surrounding my piano. Play time! No, not the piano, but a game of catch-the-dot even though they were over a hundred miles away at the time. After a while, I understood that the little silver cube was somehow connected to the voices and the red dot. So, when I heard it come on, I’d immediately run to it and wait for the game to begin. That’s how smart I am. And you thought I was just a pretty face with piano skills!